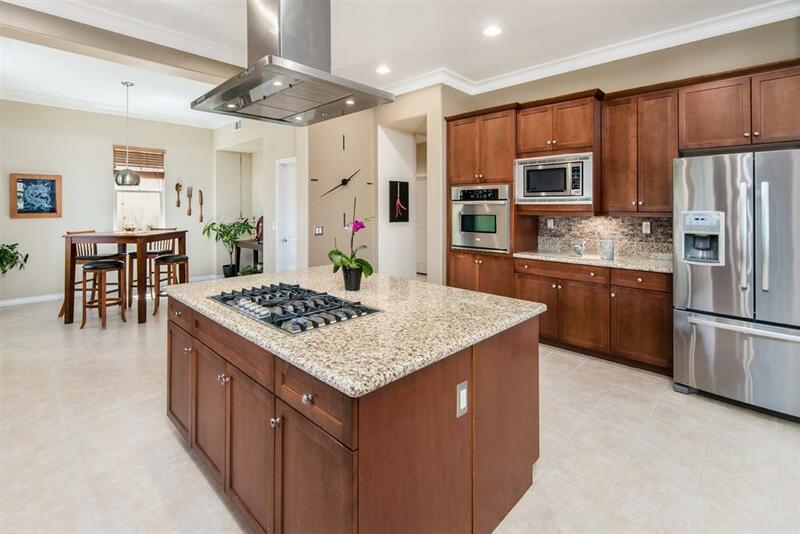 3235 Sitio Avellana, Carlsbad, CA 92009 (#190020396) :: Ascent Real Estate, Inc. 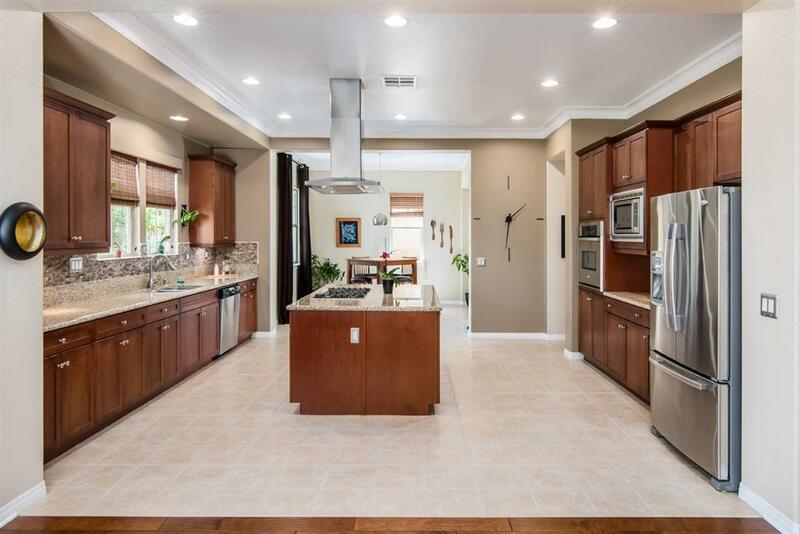 Prestigious La Costa Ridge home in a luxury gated community & nestled on a quiet cul-de-sac w/views of the gorgeous green hills. Features Include: Private courtyard entry, expansive gourmet kitchen w/granite counters & SS appliances, master retreat w/large walk-in closet, custom crown molding, designer lighting, sleek engineered wood floors, Nest Thermostat w/dual zones, private yard w/views of the hills, great location close to top schools, La Costa Resort, fine dining & shopping. This home has it all! 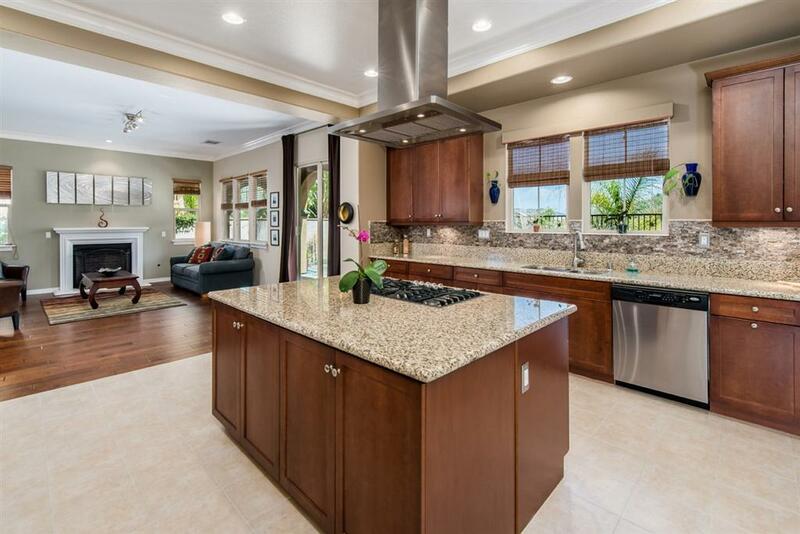 This must-see La Costa Ridge home is sure to impress the minute you walk in. You are welcomed inside through a large front courtyard. 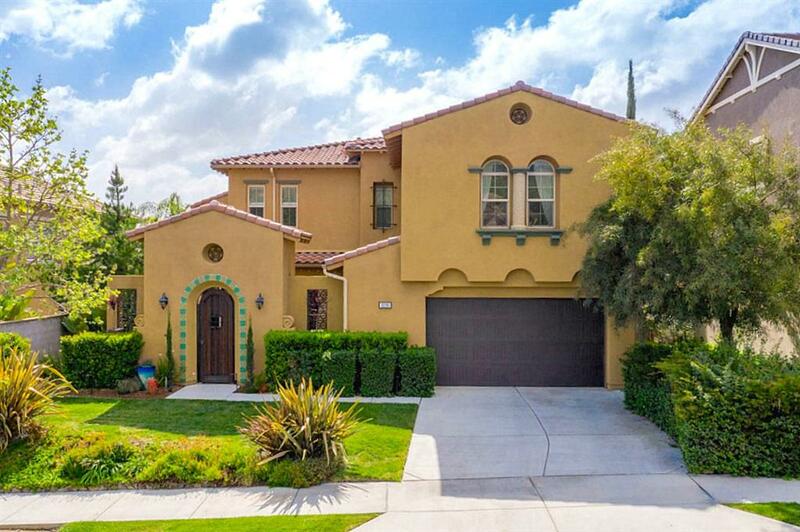 Step inside to find the vast open & airy floorplan with 10 ft ceilings throughout. The living room is just off the entry & features a glass sliding door to the courtyard where your guests can enjoy convenient outside/inside access. Across the way is the oversized formal dining room which leads into the kitchen through a butler's pantry so you'll never miss a beat. Continuing on you'll find the expansive gourmet kitchen complete with high quality stainless steel appliances, granite counters, a breakfast nook & walk-in pantry. Flowing off the kitchen is the spacious family room with cozy fireplace. Upstairs is the master suite with large windows to let the natural light & views of the hills soak in. The master bath offers granite counters on each separate vanity, large soaking tub, walk-in shower & a huge walk-in closet. There are 3 more guest bedrooms (2 with their own en-suite baths) as well as a full bathroom that completes the floorplan. The backyard is the perfect place to unwind & relax surrounded by lush landscape, stunning views of the neighboring hills, covered loggia & firepit.